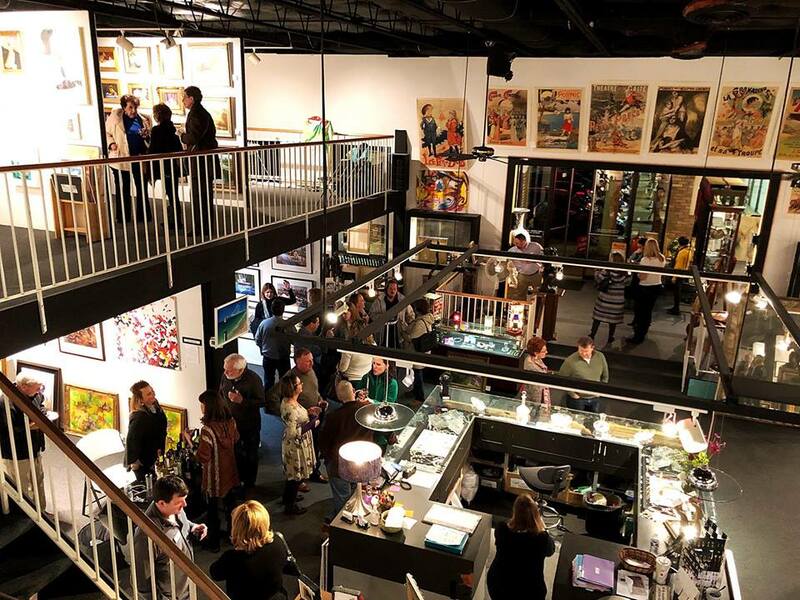 This weekend, we enjoyed a wonderful evening at the gallery in conjunction with Leadership Richardson! It was an event that provided the opportunity for Richardson/DFW locals and art lovers to network with the community. 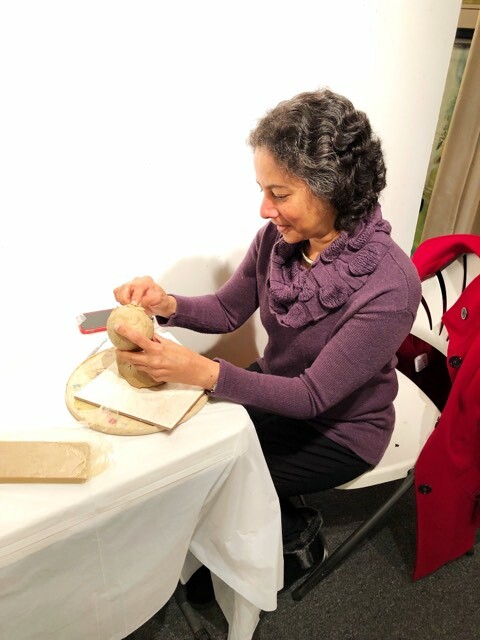 The event featured three local artists that also shared one-of-a-kind live demonstrations. Jo Moncrief: Her featured works were wet poured abstract pieces sealed in a UV polymer varnish. Her art is a reflection of her personal pursuit to create a looser dynamic. She enjoys the unpredictable effects that cannot be painted. Sara Joseph: Joseph’s work was influenced by her strong faith. She seeks to portray her relationship with her faith and her love for people in all of her creations. Kathy Elliott: Elliott’s mediums used were oil paint layered with charcoal, graphite, and pastel. As a retired mathematics teacher, she visualizes the relationship between elements or subjects to be manipulated as an equation to be solved. We were inspired by each featured artist of the night and enjoyed the conversations of creativity and innovation! 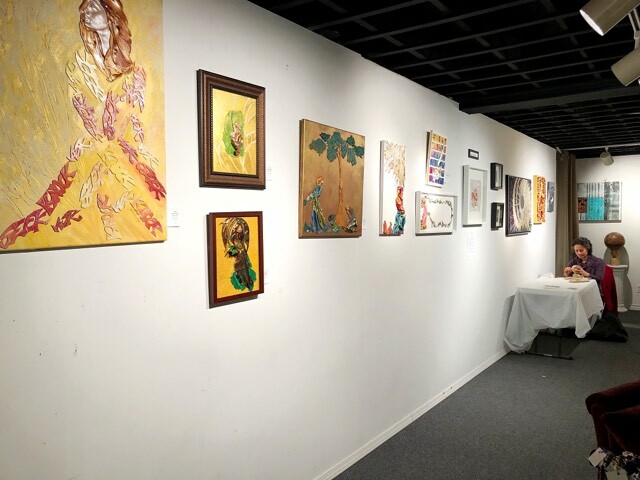 If you are followers of the artists or would love to learn more, both Jo Moncrief and Kathy Elliott are offering workshops this year at The Artists’ Showplace!